Hopmans QEII Quality Cars is a locally owned family business that has been operating since 2001. We have been supplying quality vehicles to Canterbury locals and regularly ship vehicles nationwide. We specialise in late model Japanese imports, as well as a selection of European and NZ new models. With the Christchurch Rebuild taking place we have supplied a large quantity of commercial vehicles to all trades. Our most popular seller has been the Toyota Hiace which we now stock a large range of from petrol to diesel, 4WD, high-roof, wide-body and coaches. 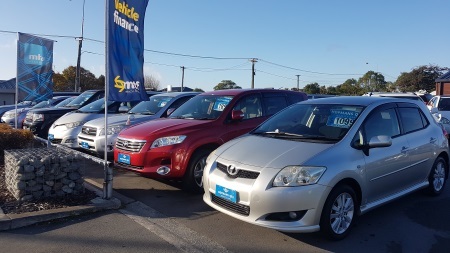 No matter what vehicle you are after we can source the perfect vehicle for you whether it is locally in NZ or across the water. Our company moto is Best Price, Quality and Service Guaranteed which is what we strive towards every day. Come and experience the difference at Hopmans QEII with our friendly no pressure approach.